Rajasthan has truly become the first choice for incredible events. Lately we have seen events like Rajasthan Heritage Week, Jaipur art Summit, Jaipur Literature Festival and Ranthambore Festival taking place in the state, all of which were, in one way or the other, related to Culture and arts. Given that we have seen a lot of events which provided such depth it is about time that we get to see an event that lightens everyone up. Well, very soon the state capital, Jaipur, is going to host some incredible star singers, who will perform live for us. The biggest names in the music industry: Mika Singh, Badshah & DJ Chetas, will be in Jaipur on 7th March’17 for the live concert, Latlong Jaipur, presented by Emars Event. Singer, song writer and composer Mika Singh who has charmed us with his hit numbers like, Bas Ek King, Jugni & Mauja hi Mauja, will definitely be a treat to watch, as he performs live for Jaipur. The Indian rapper, Badshah, who rose to fame with the song, Saturday Saturday, will be a part of the musical event and his presence is sure to add a lot of energy to the concert. As if this was not enough, Latlong will also host DJ Chetas, king of remixes. Its time we put on our dancing shoes and prepare for the event. Whether you are a fan of these performers or simply want to be a part of this rocking night and have a good time, all you need to do is, log on to book my show. To learn more about the event you can log on its Online Media Partner, Jaipur Beat. Jodhpur’s “Rajasthan International Folk Festival (RIFF)” is here to spark up the moods! On chilling October evenings, when the sun is setting and the sky is filled with orange and reddish hues, you hear light music passing by your ears and the wind embracing your skin gently. Everybody wrapped in shawls and sweaters, occupying their place on the majestic Mehrangarh Fort, and listening to the enthralling music of Rajasthani Folk musicians. This is exactly how the setting of Jodhpur’s Rajasthan International Folk Festival (RIFF) is, which is conducted every year in and around Jodhpur’s Mehrangarh Fort. Jodhpur RIFF is among the world’s top 25 music concerts which soak you totally into Rajasthani culture. This year, the fest is being conducted from 13th to 17th October. The event goes on from day to night where talented performers showcase their area of expertise and enthrall the spectators. From Rajasthani folk music to traditional dances, from circus acts to plays, everything keeps people engaged throughout. Great news has arrived for all those who would love to experience night life in Rajasthan. An event called Jaipur by Night is being conducted to promote night tourism in Jaipur. This is going to take place on 16th and 17th September. The event will begin with various performances. In fact, 16th will be dedicated to the cultural performances at the majestic Jaigarh Fort. The entry will begin from 5.30 pm onward where Rajasthani troupe will be performing at Chowk 1 & 2 on the beats of vibrant music while others will be showcasing the various other forms of art such as puppet dance, caricature artist, magic show, handicraft show, live painting at night etc. A musical concert will also follow at Char Bagh in which the pioneer of Indian pop music, Euphoria will make you tap your feet to the beat of their music. Rajasthan Roots, which is a world’s famous band of folk musicians from Rajasthan, will make you groove under the sheet of stars in the moonlit skies. Then, the event will come to an end with dinner. 5k without timing chip and for all age group. There will be other attractions running along like roadside bands, music and nukkad show on the theme etc. To add a spark to the night life of Jaipurites and its tourists, Pink City is holding the 4th edition of “Jaipur by Nite”. With the carnival beginning on 16 and 17th September, it will mark the beginning of first-of-its-kind night marathon this year. With Diya Kumari its Brand Ambassador, the event promises to bring forth the rich heritage and culture of the state. The first day of the event, i.e. 16th September will have various musical performances by bands such as Euphoria which will be performing at Jaigarh Fort. With a blend Rajasthani music, Rajasthan Roots will be enchanting its audience with Rajasthani folk fusion. Other than these will be various other Rajasthani Troupe performances like Kachhi Ghodi, Shekhawati Chang Dhap, Bhope Bhopi and Dhol wale along with some fun events such as puppet show, magic show, parrot card reader and live paintings at night. The next day will be dedicated to Marathon which will begin from Hotel Clarks Amer which will be divided into two categories of 10 km (for 14 years and above with timing chip) and 5 km (no age limit without timing chip). This event will provide a chance to all the visitors across India to participate and get accustomed to the heritage and culture of Pink City at night. Take a look at some of the pictures from previous Jaipur by Nite events. Jodhpur is a beautiful city still rooted in tradition. The city with exotic blue houses reveres the erstwhile royal family of Jodhpur even today. You will find a century old clock tower here which is still functioning. The vibrancy and hustle bustle of the city has its own charm. In this happy city, there is a place that strikes the right balance between tradition and modernity- On The Rocks. Food, drinks and music are the things that give happiness to everyone. When you get these pleasures in a classy ambiance, the joy increases! The exclusivity of On The Rocks makes it a must-visit place when you are in Jodhpur. On The Rocks is not just a restaurant or a bar, rather it’s a place that provides a variety of ambiances to suit different tastes. There are five completely different setups here and we will take you through each of them. This is a pub, the place to dance and drink. You can wet your throat with any drink of your choice when you get tired of dancing. The drinks will energize you and you will be ready to own the dance floor again. The special Kebab Platter here will make your drinking experience a delicious one. Just like the simple and obvious name, this bar is for everyone. Nasha has drawn inspiration from the dark and dingy bars of 70’s Bollywood. It has posters of movies of the era to add to the feeling. You can come here for a drink anytime you want to get recharged. Want an intimate fine-dining experience? Machan will take care of your needs. The place has been designed to look like a hut erected in a tree. On the lower floor, you can sit with your loved ones at a secluded table and have good time. If you want to enjoy a private party, the upper floor is all yours. You can book it for a small party in a wild atmosphere. The freshness of neem tree while dining will do you a whole lot of good. Neem Tree Court is the place for Al-Fresco dining. The family restaurant in Jodhpur has been set in the shade of a neem tree to provide a unique feeling. You will really love the Tandoori and Mughlai food offered here. This is a café with rustic charm. Redstone offers authentic Italian, Chinese and Continental cuisines. The place has a very old-world kind of feeling which gives it a quirky touch. On The Rocks is basically a place with vintage elements and also has a whiff of Rajasthan. If you are a resident of Jodhpur, this place has to be your favorite hangout. If you are a visitor, you must experience this little world to holiday in style! Yawning at the thought of another music festival? Sit up. Set to take place at Alsisar Mahal Shekhawati, the 17th century Rajasthan palace four hours from Jaipur promises a stupendous Music Festival hosted by Magnetic Fields with a cool cocktail of Gypsy Jazz, Cabaret Folk, Dubstep Electronica and Alternative Rock. With a limited capacity of just 500 guests, acts on the roster currently include Robot Koch, Shaair + Func, Midival Punditz, Vivek, Shiva Soundsystem and more. 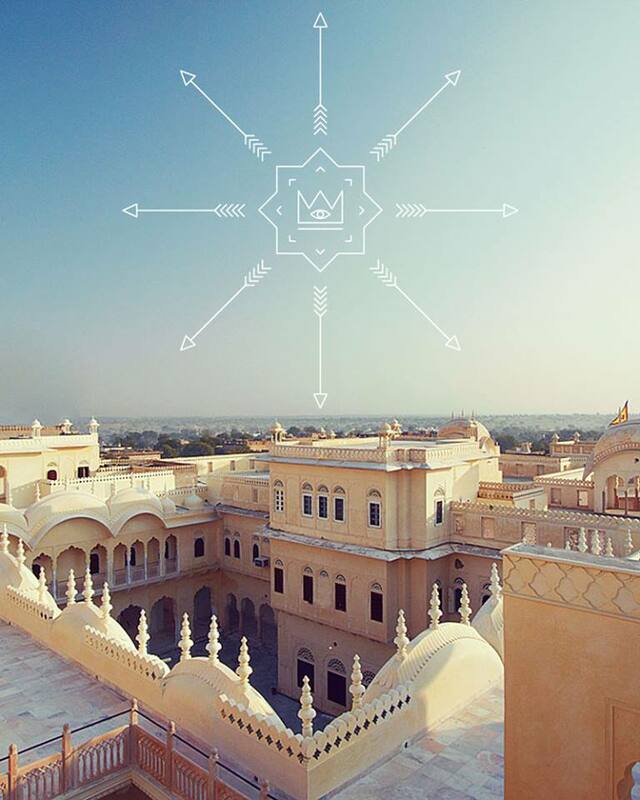 Add to that, the Alsisar Mahal will be transformed into a carnival with secret spaces, costume balls, airships, morning yoga, cloud bars, floating stages and the chance to meet folk artists and sample local fare. You’re feeling attracted and excited?? The Festival begins from December 13-15, 2013. 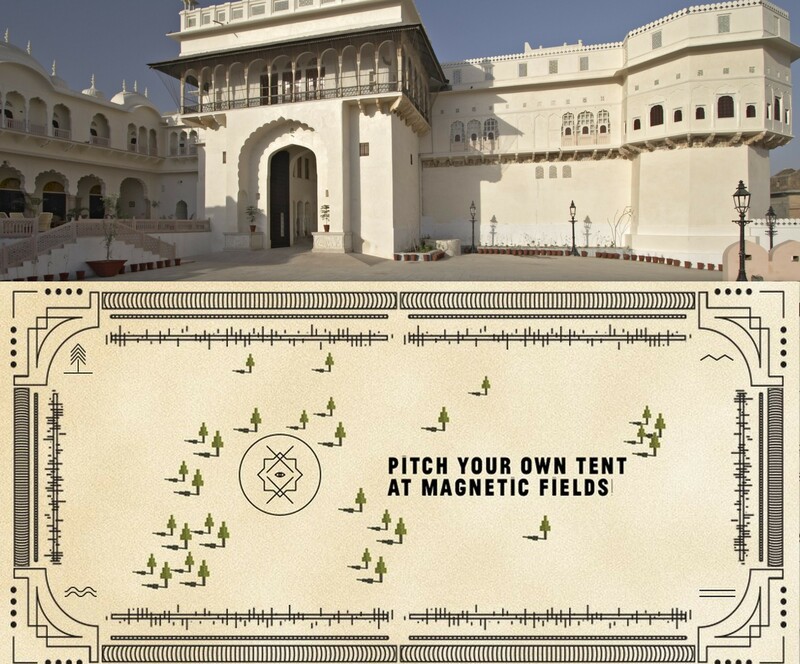 You can book a luxurious maharaja style room at alsisar mahal or book a tent near the Mahal or you can also pitch your own tent. You will be right in the Bedouin Camp and you’ll get hot showers, safety lockers and bonfires all night long. Get the tickets soon because these are limited in number and are sure to sell out fast! Tickets are now available at http://in.bookmyshow.com/concerts/magnetic-fields-festival-tickets/ and Alsisar Hotels Rajasthan. More of the big cats will be glorifying the timeless heritage of Rajasthan. Rajasthan will home a third tiger reserve in the Mukundra Hills, as notified by the Govt. of Rajasthan. Covering the four districts of Kota, Bundi, Chittorgarh and Jhalawar.Its reserve area will spread over 759 sq km. 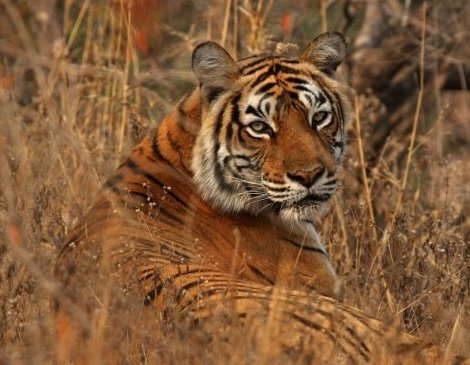 Nearly 417 sq km have been earmarked as the core tiger habitat, while 342.82 sq km has been notified as the buffer zone where human interference is prohibited. The other two tiger reserves of Ranthambore and Sariska have a core area nearly thrice this size. Mukundra Hills are also connected with the Ranthambore National Park, located in the state’s Sawai Madhopur district. Moreover, the core area of the Mukundra reserve currently has six villages, two of which are uninhabited. Eventually all these villages will have to be relocated funded by the NTCA (National Tiger Conservation Authority). The sanctuary currently has wolves, sloth bear, chinkaras and leopards! Officials added that at a later stage, tigers will be relocated from Ranthambore reserve so as to provide optimum space for the majestic dwellings. The objective was to link this to Ranthambore so as to let the tigers that stray from the park come and breed here. It was the next best forest after Ranthambore for rehabilitation of tigers.